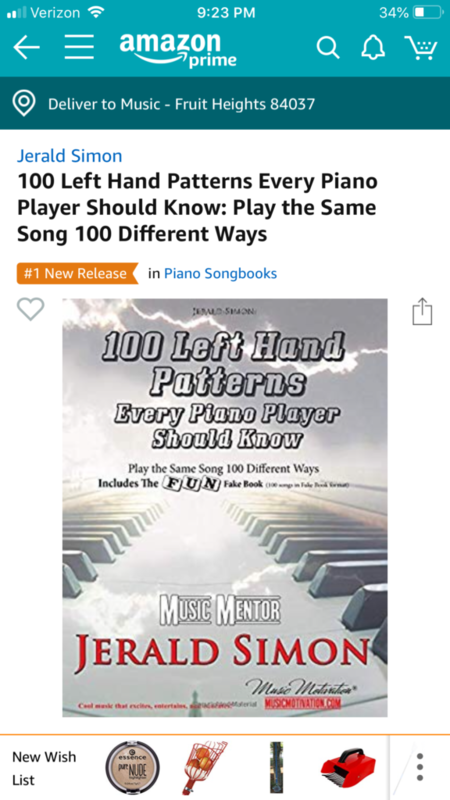 My new book, “100 Left Hand Patterns Every Piano Player Should Know!” (Play the Same Song 100 Different Ways), is in the #1 Spot on Amazon’s Hot New Releases Song Book Section. I want to say a BIG THANK YOU! 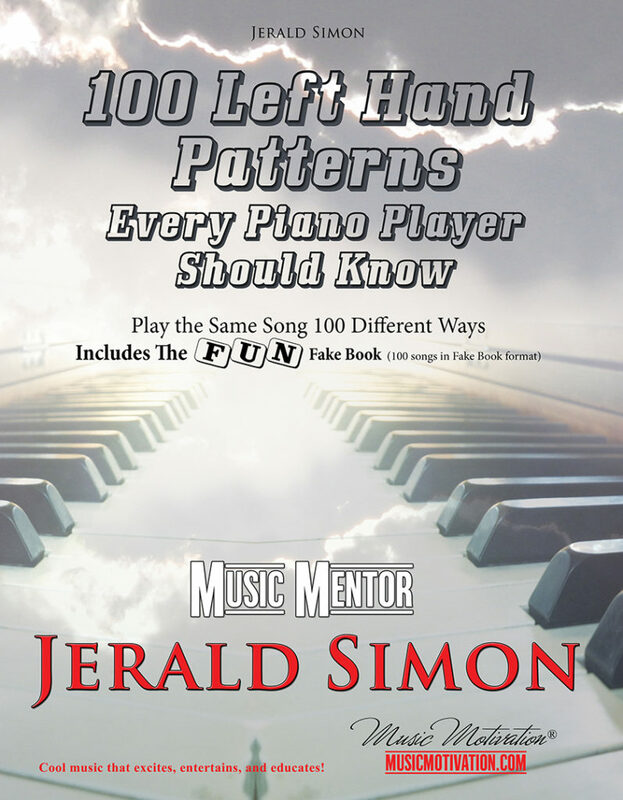 to the many piano teachers who have already responded when I asked for piano teachers to review my new book, “100 Left Hand Patterns Every Piano Player Should Know” (Play the Same Song 100 Different Ways). It also includes my FUN Fake Book featuring 100 songs in Fake Book format. Most of these are in the Key of C (I had to keep certain songs/pieces in their actual key signatures, like: “Minuet in G” – It’s self explanatory). So many piano teachers have responded and I am shocked and humbled by the wonderful comments you all have left as you have started reviewing my new book. It is still in the Number #1 Spot on Amazon in the Song Book Section one week later. Thank you all for your help (and especially the ones who have purchased the book on Amazon to help it get and stay in the number #1 spot). “This book is perfect for students of all ages and levels to begin improvising using lead sheets. There are a ton of aurally familiar left hand patterns that start very simple and go to very complex (beginner to advanced). Since all patterns are notated and fingered, it could also be used to strengthen bass clef reading (because we all know the struggle!) The fake book in the back is great, as it has kids songs plus others that older students will know. I plan to use this with every single student in my studio, especially the teens and adults!” – Bruce M.
If your piano students would like to purchase one of the books, they may purchase the book as either a PDF download or a Spiral Bound copy from my website, or a paperback version from Amazon (https://amzn.to/2QKHwH7). The book is also available as a Studio License for Piano Teachers who would like to purchase the studio license (http://musicmotivation.com/shop/piano-teacher-studio-licenses-to-reprint-pdf-books/studiolicense-100-left-hand-patterns-every-piano-player-should-know-pdf-download/). If you would like to receive a FREE PDF copy, please leave a comment below or send me a personal message (message me @Jerald Simon – jeraldsimon@musicmotivation.com, or leave a message on my website). The book is not even in all of the music stores yet, but soon will be. I’m still in the process of receiving testimonials from other music professionals that will be inside the book and used in my marketing campaign (which is why I set the release date so far out in the future from when the book was actually completed – not realizing it would go to number 1 on Amazon’s new release list without me even mentioning the book or promoting it – go figure!). Let me know if you are interested. I would love your feedback and thoughts. If you know other piano teachers or piano students in your area who may enjoy the book, they can purchase the PDF book copy ($9.95), spiral bound book ($17.95), or a lifetime piano teacher license ($59.95) where teachers can print out parts or all of the book. All three of these are available from my website. I’d love to have you share this info on your social media sites (If you want to, you could share this post I have shared about this book). 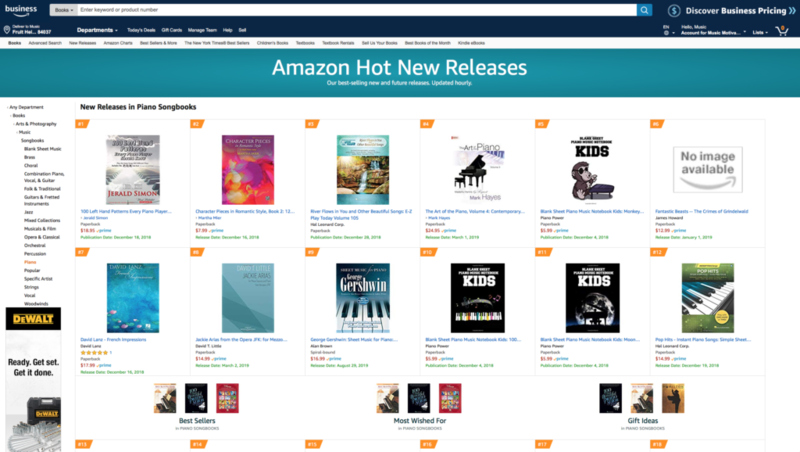 Of course, it is also available on Amazon for $17.95 as a paperback (It was the Number #1 new release in the Music Song Book section on Amazon the week of December 17th – December 23rd, 2018 and is still in the Number #1 spot as of this writing). Thank you for being willing to review my new book! “An invaluable collection, presented clearly and organized well. This book is perfect for anyone who is ready to expand their piano-playing into the realm of improvisation, composing, or arranging. All of the patterns are written in the key of C, but there is a section that deals with transposing and what the common chords in each key are so you can play along with your favorite instrumentalist in a key that’s comfortable for them, or transpose for your vocalist’s range. Most patterns are simple enough to fit on one line, with a few that extend to two or three, maximum. Many of the patterns are simple variations on a basic pattern, which I feel helps those who are beginning to improv realize that it’s okay to make small changes ‘just to see’ instead of trying to pull stuff from thin air. “The book is divided into several distinct sections, making it very easy to go straight to whichever style is most interesting. It starts with very simple patterns; as a teacher, I can use these even with those in the first few months of instruction. I wish I had had the section on jazz patterns back when I first started playing in jazz bands, as my teacher at the time couldn’t help me much in that regard! It’s also easy to see the practical application of theory. No more students asking “Does it really matter if I know what a diminished chord is?” Fingerings and chord symbols are written in, and Mr. Simon is obviously a teacher himself, as the reader is constantly encouraged to recognize patterns and make their own cognitive leaps. “Best of all for those using this book independently instead of with a teacher, there is a “Practical Application” page where Mr. Simon has taken several patterns and written out several possible realizations of them with “Twinkle, Twinkle, Little Star”. This really sets the reader up for success as they move on to the fake book section (or their own fake book if they have one they prefer) and try the patterns there. The fake book itself has a good selection of music. Everybody is bound to find several songs they enjoy to play with in this section. I’d love to have you review a PDF copy in exchange for your review/testimonial as mentioned above. You can also purchase the book as mentioned above from my website or Amazon (it will soon be in all of the music stores – if you are a music store and would like to begin selling my books, please contact me!). First and foremost, Jerald is a husband to his beautiful wife, Zanny, and a father to his wonderful children. Jerald Simon is the founder of Music Motivation® (musicmotivation.com), a company he formed to provide music instruction through workshops, giving speeches and seminars, and concerts and performances in the field of music and motivation. He is a composer, author, poet, and Music Mentor/piano teacher (primarily focusing his piano teaching on music theory, improvisation, composition, and arranging). Jerald loves spending time with his wife, Zanny, and their children. In addition, he loves music, teaching, speaking, performing, playing sports, exercising, reading, writing poetry and self help books, and gardening. 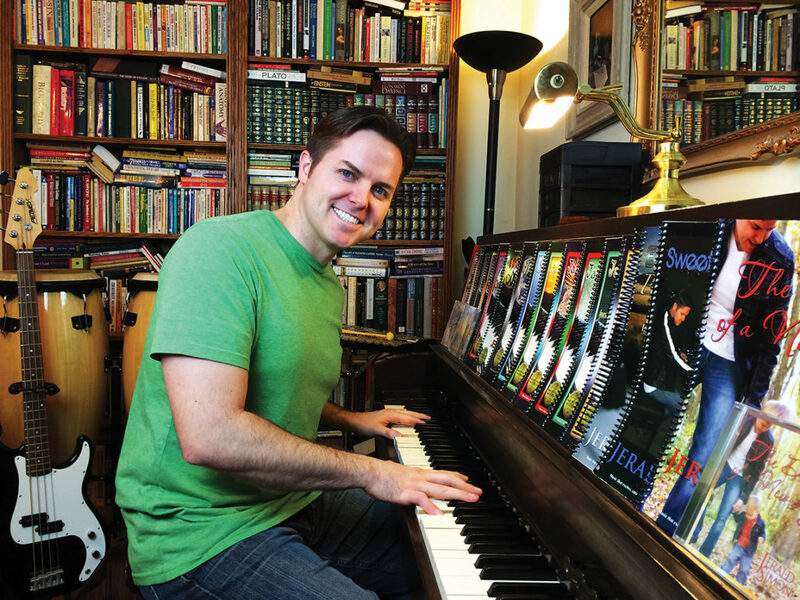 Jerald created musicmotivation.com as a resource for piano teachers, piano students, and parents of piano students. In 2008 he began creating his Cool Songs to help teach music theory – the FUN way by putting FUN back into theory FUNdamentals. Jerald has also filmed hundreds of piano lesson video tutorials on his YouTube page (youtube.com/jeraldsimon). He is the author/poet of “The As If Principle” (motivational poetry), and the books “Perceptions, Parables, and Pointers”, “Motivation in a Minute”, and “Who Are You?”. Jerald is also the author of 21 music books from the Music Motivation® Series and has also recorded and produced several albums and singles of original music (available on Pandora, Spotify, iTunes, Amazon, Google Play, and all online music stores and radio and streaming stations).